The Ebola virus outbreak has refocused attention on Liberia, a country that has lurched from one crisis to another since independence in 1847. Many Liberians are openly angry at the government of President Ellen Johnson Sirleaf, who has ruled unchallenged for most of the post conflict recovery. The Ebola epidemic in Liberia is without no doubt the result of widespread social and environmental degradation brought about by the demagogues in government, which are clinging to the old order of corruption, nepotism, incompetency, etc. Corruption, nepotism, patronage, etc. may not have spawned the Ebola virus, but they formidable fertile ground for its to spread in Liberia. Liberia is a weak state, not because of natural disasters, but because President Ellen Johnson Sirleaf and her cronies continue to plunder a national wealth stemming from offshore oil exploration and other natural resources. Despite over US$ 16 billion foreign direct investment base, ordinary people are living in abject poverty. Corruption has eaten deep into Liberian society and government, and even quarantine measures announced to keep the Ebola virus from Liberian people are being undermined by bribery. Public workers are owed several months’ salary, and bribery has become a way of life. The government of Liberia led by President Sirleaf fell far short of taking preventive and proactive steps to protect its citizens, until the virus spread across the country, causing hundreds of deaths. This tragedy could have been prevented. Today, even though the Ebola virus was first reported in Guinea, Liberia ( as I write), now has over 329 reported clinical cases of Ebola, including 100 laboratory confirmations and 156 fatal cases, according to the World Heath Organization (WHO). The questions that the Liberian public would like the Sirleaf’s administration to answer are: How did we get to this stage? Why is it that when the virus entered the northern border district of Foya, Lofa county, the government did not act until it had spread across the country? Why did the government not provide adequate equipment and resources, promptly, and in time for front line staff that had put their lives at risk, to save others in Lofa? These are the fundamental issues that have tested the government’s readiness and ability to manage the Ebola crisis. Medical Center, Dr. Samuel Muhumuza Mutoro of Uganda, Patrick Sawyer and the hundreds of patients who have contracted the virus, including the dead. Whilst we welcome the president’s commitment in her broadcast, Dr Brisbane or Patrick Sawyer did not have to die before her government acknowledged the Ebola virus was a threat to national security. It is not hard to support my assertion that the government was too slow to a point of being negligent. When the Ebola virus first surfaced in Guinea, officials in the Sirleaf’s administration were in denial of the existence of Ebola. For example, one time presidential candidate and senate pro tempo Senator Cletus Wotorson (UP, Grand Kru) said the Ebola noise made by health authorities was much ado about and intended to extort money from international donors. When cases of Ebola virus were being reported in Lofa County President Sirleaf flew to Brussel to attend a summit in the name of global duty. Patrick Sawyer died in Nigeria while on official government assignment even though facts pointed to Sawyer’s Sister died from the Ebola virus and Sawyer was the person assisting to care for her, but yet he was allowed to board a flight to Nigeria as part of official government representative to a conference in Nigeria. In contrast to the initial inaction of the Sirleaf administration, let me further highlight how other governments sprung into action on the first reporting of Ebola in Guinea. Ivory Coast closed her borders immediately. Ivorian had also closed its main entry points to Guinea which means they are better prepared to screen suspected entrants, whilst at the same time contain the virus by contact tracing and quarantining. Gambia also follow the same step. In addition to the Gambia closing her borders, the government there instituted screening and support for health workers. Nigeria, on the first incident of the virus which killed Patrick Sawyer there, government officials reacted robustly to protect their citizens. Airports and border officers have been put on alert. Unlike the Liberia, these countries foresee the Ebola virus spread could lead not only to the Ebola epidemic but Ebola pandemic. A major airline in West Africa, Arik Air, Nigeria’s largest airline, has been suspended, demonstrating that economic consideration is secondary to the containment and prevention of Ebola virus. 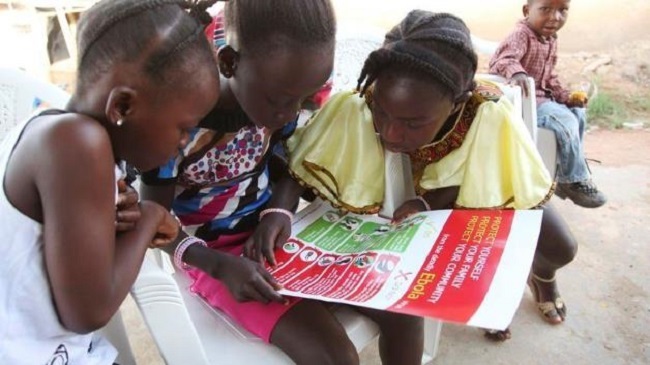 The United States Centers for Disease Control and Prevention (CDC) had issued a level 3 warning to US residents to avoid nonessential travel to Liberia, Guinea, and Sierra Leone because of an unprecedented outbreak of Ebola. The agency has advised stateside health care providers to watch patients who have traveled to West Africa recently for symptoms of the virus. This means, it is possible that anyone coming through the US ports from the affected countries could be subjected to extra interrogation and screening to check the state of their health and contact details in the US. The Ebola virus is a war! We must put politics aside and unite in fighting the virus. Ebola does not discriminate. But we will not be a party to government mishandling and misinformation that could put our citizen’s lives in fear and danger. The tragic death of Dr Brisbane, Sawyer and others should have been avoided, but government must now take this opportunity to provide adequate resources, equipment, improve on working conditions for all health service professionals throughout Liberia. They are on the front line of this war on Ebola; they are the nation’s heroes.